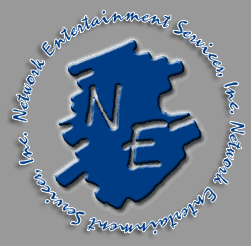 In 1984 Network Entertainment began as a local booking agency in the Atlanta area for bands and DJ’s, under the guidance of Mike Hooks. As the business grew the company soon began working with record companies and radio stations, as well as many nationally recognized artists. With the growth, the territory began expanding along with a full range of clientele. Dan Jason took the helm in 1999 and still serves as the company’s president today. Dan immediately saw the need to increase the company’s services and quickly developed the DJ and Outdoor Movie Night division into the most popular and successful provider in the southeastern United States. Network Entertainment is still based in Atlanta with satellite offices now established in Florida. We are fully licensed, insured and compliant through Compliance Depot, Registry Monitoring and Ops Technology. The most "in-demand" DJ from the Atlanta area is unquestionably DJ Dan Jason. His musical knowledge is a walking “Wikipedia” of song selections in every genre imaginable.